On Easter Monday, 24 April 1916, members of the Irish Volunteers and the Irish Citizen Army occupied buildings in Dublin and proclaimed an Irish Republic. The records at The National Archives in Kew have detailed information on the political and military activities as well as the events leading up to and following the Easter Rising. They also contain detailed information on some key figures of the Rising. With reference to these documents you will be encouraged to explore the intentions of the leaders of the Rising, public reaction and the British Government’s response to the Easter Rising and its aftermath. 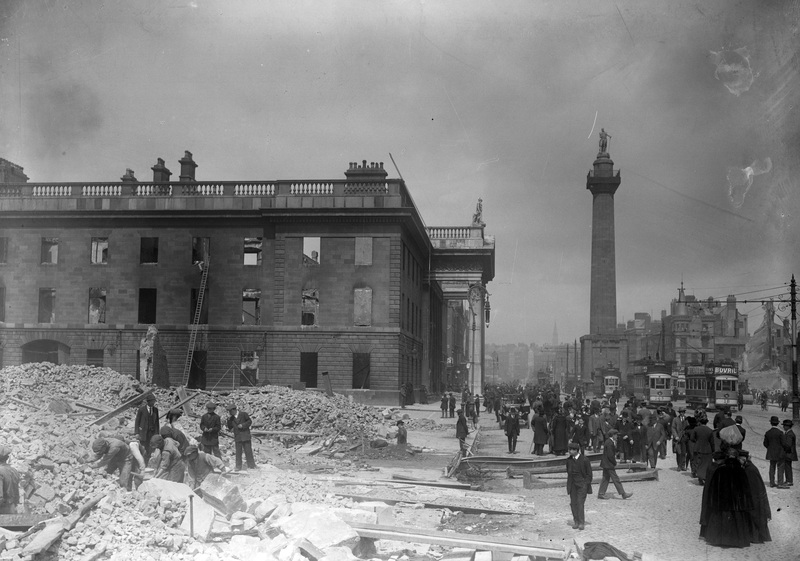 The General Post Office on Sackville Street, after the Easter Rising. If there is sufficient demand we will endeavour to programme a second visit. Instructions on meeting the group at Kew railway station with be issued with tickets.